The Aston Martin DB11 is a car coveted even by people who have very little interest in driving cars. That’s thanks to its sleek looks, glamourous image, and the intoxicating noise and performance produced by its hugely powerful engines. A word of caution though, you should choose your DB11 with some care. The V12 feels quite flighty and unruly, but the V8 is probably the best Aston ever. A country mile better than the V12. Seems pointless when the V8 is so much better. The DB11 is the first of a new generation of cars for Aston Martin, but stylistically at least, the company hasn’t strayed too far into new territory. 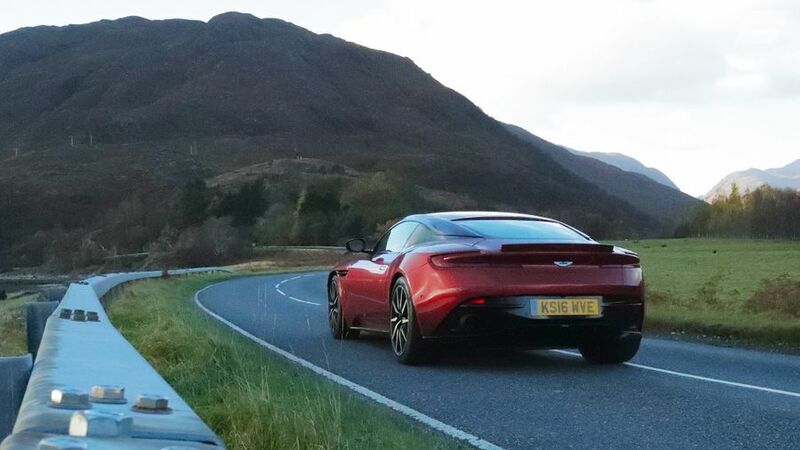 The DB11 has sharper, more aggressive and more modern looks than the DB9 it replaces, but there’s still plenty there to identify it – unmistakably – as an Aston. Few will argue that this is one very good-looking car, and it certainly gets its share of admiring looks from passers-by. You’ll need to be a proper nerd to tell the difference between the V8 and V12, but for the record, the V12 has four sets of bonnet louvres, while the V8 makes do with just two. Aston has a partnership with Mercedes, meaning much of the technology you’ll find in the DB11, such as the infotainment system and much of the switchgear, is recognisable from Mercedes. That’s no bad thing, because it all looks smart and works pretty well. Things are far from perfect in the Aston’s cockpit, though. 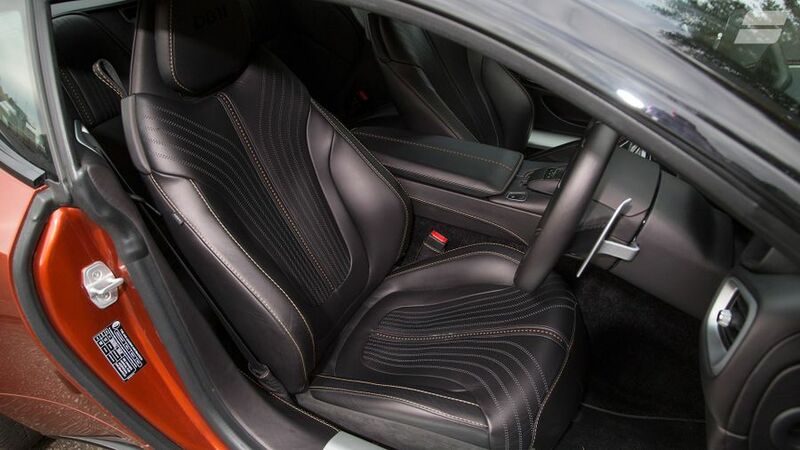 The quality of some of the materials and finishes leaves a lot to be desired – especially considering the vast amount the car costs – and the electric seat controls are so confusing you might well fold yourself in half before you work out how to move your seat in the desired direction. The dashboard is set high in relation to the seats, making the cabin feel a little claustrophobic, and it’s impossible to see the extremities of the bonnet, making it difficult to place the car when parking. At least the drive selector system is easy to use, as the modes are controlled by big buttons on the dash, rather than using a more traditional lever arrangement. Not an area of vital importance for a car like this, we know, but as there’s every chance the car will be called upon for grand touring duties from time to time, it’s essential you have enough space for the luggage you’ll need for your weekend trip to the south of France. It does, but only just. The wide-but-shallow boot, which measures 270 litres, has enough space for a couple of overnight bags and a couple of small soft bags, but no more than that. You can fit more luggage on the rear seats if needs be, which is actually the best use for them because you certainly wouldn’t want to put a person there. A severe shortage of head- and leg-room, and foot space, mean even a child would struggle to fit. A Bentley Continental GT offers far more practicality than the DB11, and despite having two fewer seats, a McLaren 570GT has an edge over it as well. If we were only judging the V8, the DB11 would score much higher on this front. Unfortunately, its score is dragged down by the rather saggy V12. 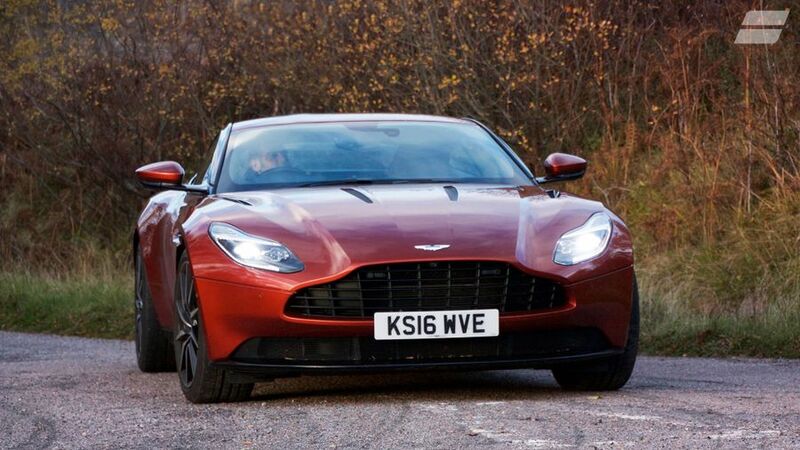 Like many supercars these days, the DB11 has a suspension that varies its characteristics according to which driving mode you select, and you’ll also notice some variation in the behaviour of the steering, accelerator response and gearshifts. 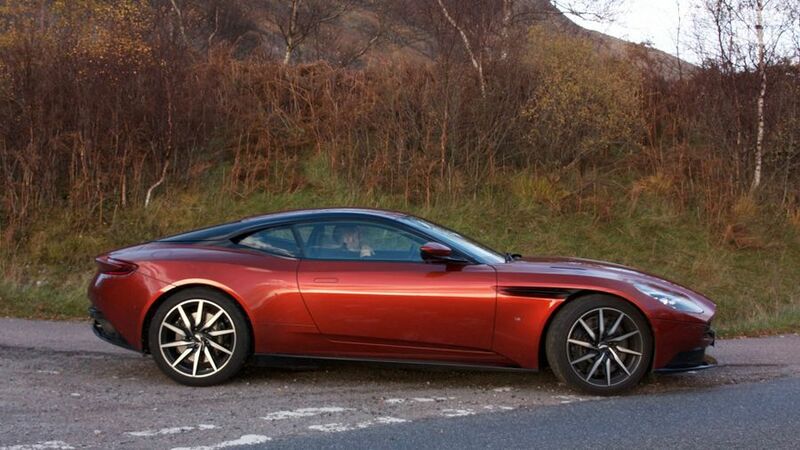 Whichever mode you choose, though, driving the V12 Aston quickly becomes a very demanding experience. The suspension allows a surprising amount of vertical movement, resulting in a just-as-surprising amount of dive and squat to be felt at either end of the car. This, combined with the fact that the car will hop sideways over mid-corner bumps, makes it feel rather unsettled when you’re threading it through bends in double-quick time. The ride isn’t ideal, either, feeling crashy at low speeds and jumpy at higher speeds. At least the steering is very direct and has a good amount of feel. Although it’s built using the same underbody components, by losing four-cylinders, the weight in the nose of the V8 car is reduced by a staggering 100kgs. Additionally, the shorter engine sits closer to the middle of the car, and as a result the V8 changes direction with an enthusiasm and fluidity the V12 can only dream of. The V8 also gets bespoke suspension settings, so the rear end of the car feels far more secure, allowing you to exploit the power fully, without the need to cross yourself before you do so. 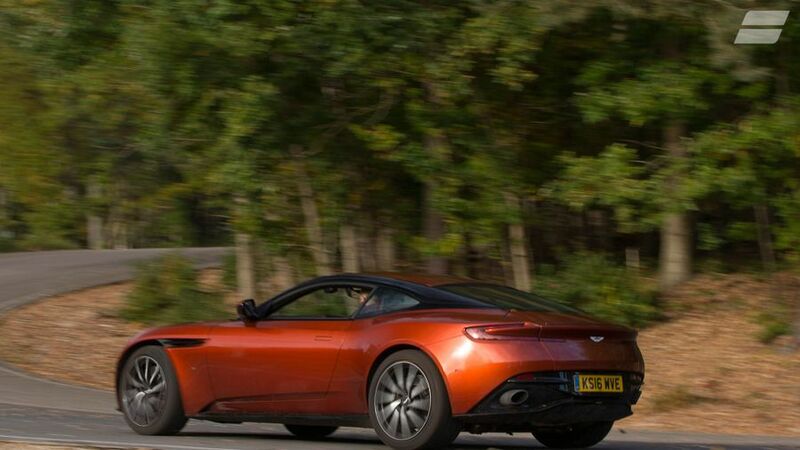 The DB11 can be purchased with either an ultra-modern 4.0-litre V8, or a more venerable 5.2-litre V12 petrol engine, and the power they deliver is nothing short of sensational. Both engines are stoked by a couple of turbochargers, and although they have an individual soundtrack, both sound absolutely epic, with a tuneful growl at low revs that builds into a full-chested bellow as the revs rise. The pace each provides is pretty staggering, too. While the V8 will thrust you from 0-62mph in a four seconds dead, the larger capacity V12 will shave a tenth off that time. Both cars won’t run out of oomph until you’re doing 200mph. However, the sensation is far more impressive than the numbers suggest, with that huge wall of torque giving you instant and explosive reactions to any sort of pressure on the throttle pedal. The one black mark is that the eight-speed automatic gearbox doesn’t always react quickly enough to keep up, which can blunt the speed of your progress, especially on the downshift. Naturally, an Aston Martin doesn’t come cheap. Not only does the huge list price make these cars the preserve of the rich and famous, anyone that does buy one will also need to factor in several thousand pounds on top of that to specify it precisely to their taste with the extensive – and pricey – options list. The V8 is a fair bit less thirsty the V12, but you’ll still only see 28.5mpg. Bills for fuel – along with insurance and tyres – will be huge, but it’ll be nothing those wealthy enough to buy the car will worry about. What they might worry about, though, is depreciation, because with a car this expensive, the losses can be huge. The good news is that the DB11 protects your investment better than most rivals, so the amount you’ll lose when you sell it on will be minimised. It’s pretty difficult to get a feel for the car’s mechanical dependability. As a brand, Aston Martin doesn’t feature in most reliability surveys, because the firm’s cars sell in such low numbers. 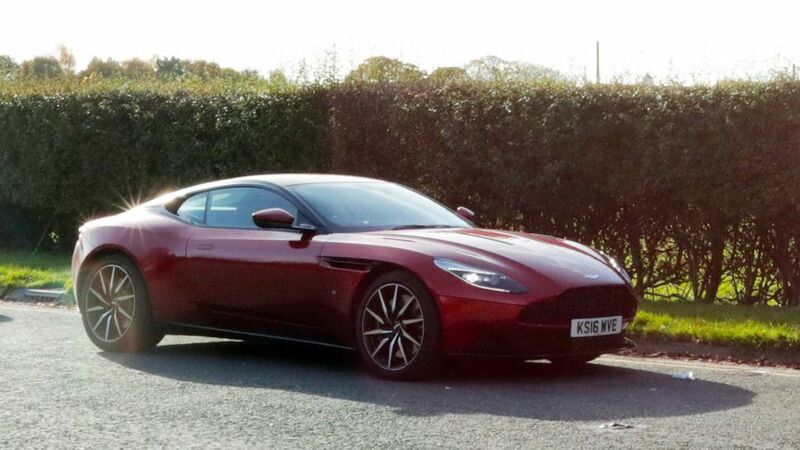 Browse the owner reviews on our website that relate to Aston Martins, and the comments on reliability are largely very positive, with only one or two horror stories reported. That said, though, if we were buying, we’d take Aston up on any offer of extended warranties and servicing packages. If you’re left to bankroll any work on your own, it’ll be very pricey. A three-year/unlimited mileage warranty comes as standard, and unusually and pretty generously, so does a five-year/50,000-mile servicing plan. Still worth extending, though. 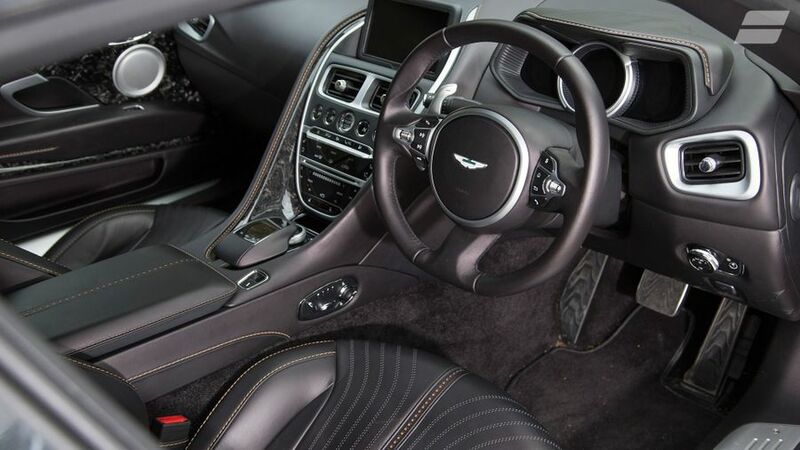 The standard DB11 equipment includes leather upholstery, keyless entry, cruise control, heated seats, climate control, and an 8.0-inch entertainment screen integrated with Bluetooth connectivity, sat-nav, DAB, a wi-fi hotspot and a 1000 watt stereo. The options list is longer than War and Peace, with many of the choices being largely cosmetic, but you can order additional kit like a Bang and Olufsen stereo, automatic parking assistant, a garage door opening device, and ventilated seats. Primarily you’ll buy a DB11 because of its looks and image, and all the glamour that surrounds the brand. Also, because you want a car that sounds and goes like little else on the road. Be careful, though, because if you’re expecting a polished driving experience, you’d best avoid the V12. It’s an absolute no brainer to order the V8 instead, as it’s a much more rounded vehicle in every respect. As such, it’s a car worthy of the Aston Martin legend.